A couple days ago at work, one of my co-workers came up to and said, “Okay, I have a question for the nutrition expert.” Ha! I laughed because I am far from this label. Sure, I’m vegetarian, and everyone thinks that means I’m super healthy. 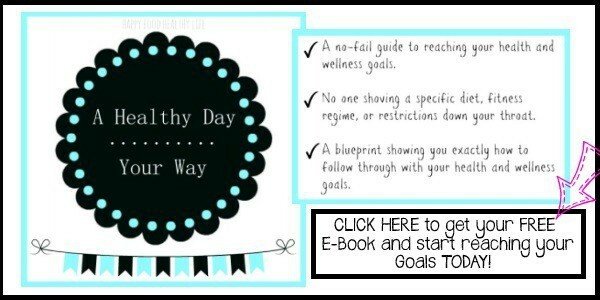 I also have this blogging space about being happy and healthy. But I’ve never had a kale chip. I sometimes eat chips and salsa for dinner. Pizza nights happen far too often in our household. But that doesn’t mean that I have completely disregarded the idea of being healthy. Instead, I have taken a more realistic approach to being healthy. For me, that may not mean the same thing as it does for you. My healthy is something that works for me. It is to be conscious of what I am eating, why I’m eating it, and how it makes me feel when I eat it. If those things all line up in a positive manner, I feel as though I am eating healthy. At least my kind of healthy. So I am far from a “nutrition expert,” but what I am is an expert on my own health needs, and I do my best to help you guys to figure out your own health needs as well. I have no clue how to work up a diet plan. I don’t count calories. I don’t consciously proportion everything out. I eat according to what my body tells me I should eat. Most of the time, my body craves healthy foods. Fruits, vegetables, and whole grains. Other times, well, it craves snacky foods. 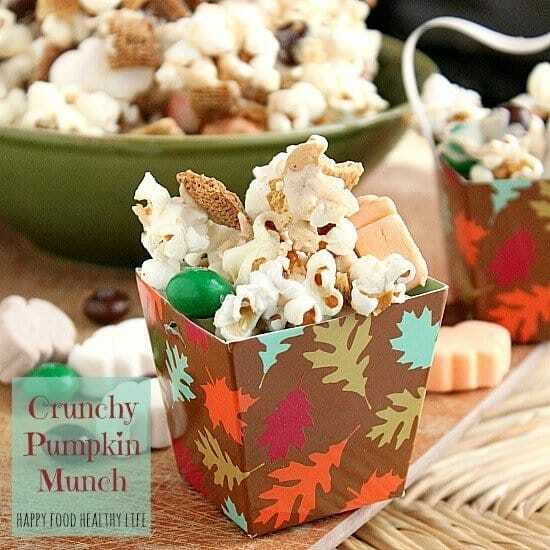 I am particularly in love with this fall-inspired snacky food that I made for you today. It has all the flavors of pumpkin pie, right down to the graham cracker bites, representing that buttery graham cracker crust we all love. As soon as I saw the Pumpkin Spice M&M’s at Target last weekend, I knew I had to create something amazing with them. And amazing is exactly what happened in my kitchen when I whipped this up. I am perfectly fine with a small little treat-bag-size of this snack, and the rest goes to co-workers at the office. That is how I define my idea of healthy. Enjoying little treats here and there, sharing with others, and balancing them out with real nutrients the rest of the day. So I’m sorry if when you’re looking around for some healthy recipes you become disappointed because there isn’t a plethora of them. 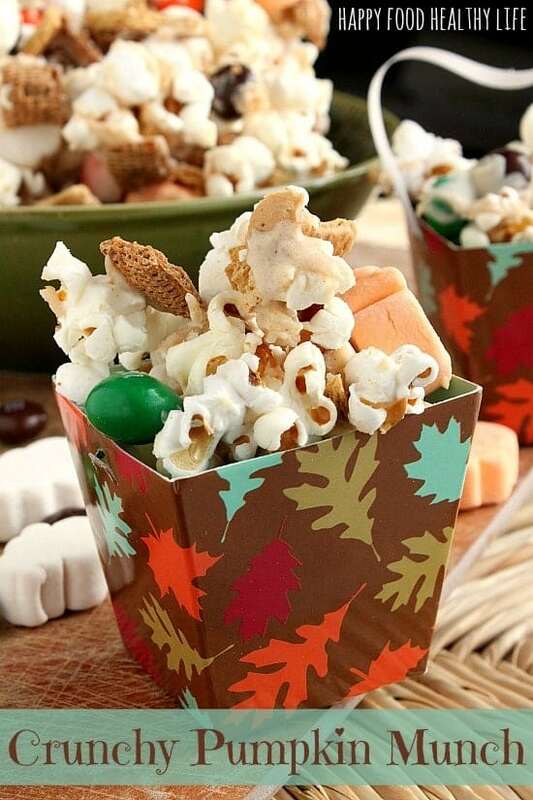 My healthy is exactly what I need it to be – Pumpkin & Chocolate Covered Popcorn and all! Spread popcorn out on two parchment paper-lined cookie sheets. 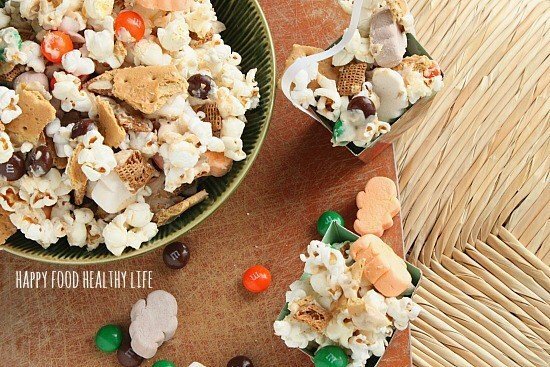 Sprinkle Chex cereal, marshmallows, M&M's, and graham cracker pieces on top of the popcorn. In a double boiler (or a glass bowl over a saucepan of boiling water), melt almond bark. Once melted, add the pumpkin cake, bread, or muffin mix and the pumpkin pie spice. Stir until completely combined. Once combined, remove chocolate and pumpkin mixture from heat. Drizzle melted chocolate over popcorn mixture and stir gently until completely coated. When coated, place cookie sheets in the refrigerator for about 15 minutes or until the chocolate is set. Serve immediately or store in an air-tight container. Holly, this is to funny because my blog is Cupcakes & Kale Chips, but I don’t like kale chips. I have some cupcake recipes on the blog, but not a ton, yet people always ask me about my cupcakes and kale chips recipes. I always say “Cupcakes & Kale Chips” embodies my philosophy of balance, and it just sounded cuter than what I really eat – Ice Cream & Salad. Would you read that blog?! But your mix sounds awesome. I have some gluten free muffin mix and some plain and vanilla Chex – I’m thinking a gluten free version might be in order! Isn’t is funny? If only our readers could have been in our heads when we were deciding on what to name our blogs and what our thought process was. hehe. 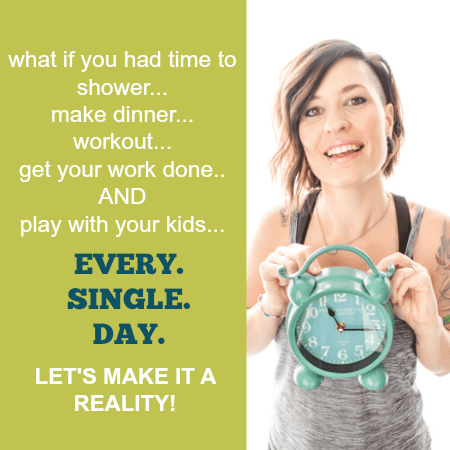 I hope you try this out … sounds you’ve got all the ingredients ready to go!! Oh, did you know there’s GF Chex too? Ahh, this is so fun! And why is this the first I’m hearing of Pumpkin Spice M&Ms–I need to find those!